When was the last time you had your Volkswagen’s windshield replaced? 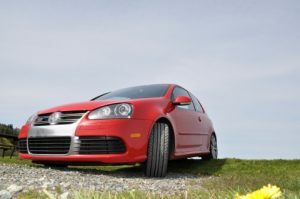 If it has seen better days, you’re in luck, because the Volkswagen repair specialists in Denver at Avalon Motorsports can help! We have repairmen standing by to provide you with the VW repairs you need, such as window repair or engine repair. So, what type of window damage might you face? Window chips are one of the most common damages your windshield will endure. If your window has been chipped, actual pieces of glass have been removed, usually from pebbles or rocks. Have you ever noticed the tiny little specks of fogginess or discoloration on your windshield? These are microscopic cabinets in glass that can appear as the fogginess of discoloration you see, but it actually has a name: Pitting. Pitting is when contaminants hit the surface of your windshield or glass, and become embedded. Although pitting can happen to nearly any glass on your Volkswagen, the windshield is the most common place. Is your windshield cloudy? If so, you could be dealing with etching which can encompass the entire surface of your windshield or just certain areas. Etching happens when hard water rests on the surface for long periods of time. It can also occur when leaves dry on the surface too. Unfortunately, it generally cannot be removed with household products, and etching most commonly affects sunroofs. Do you have questions about your Volkswagen’s glass? If so, reach out to the VW repair experts at Avalon Motorsports today. We can help!